Everyone is always looking for the opportunity to stay safe, protect assets and save money all at the same time and with the inexpensive technology available with GPS vehicle trackers you will have the tools you need to accomplish all three of these goals. GPS vehicle trackers are simple to use devices that anyone can easily install via the on-board diagnostics port on late model vehicles (e.g. the fleetminder OBD300 car/van tracker), or secure trackers that can be wired in by a local car alarm installer, car stereo technician or auto electrician. 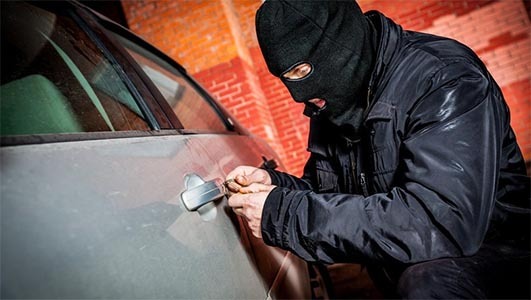 With GPS trackers installed in vehicles owners will have the tools they need to monitor the location of each vehicle and set up a geofencing perimeter that will automatically notify them if the vehicle leaves the specified perimeter. The instant notification is sent via SMS messaging and can be seen on any computer, tablet or mobile device. This is a great set-and-forget feature when you are busy with other things, or have left your vehicle in your garage, or public car park whilst away on business or holidays. GPS vehicle trackers will alert you when your alarm is triggered or if you vehicle moves from a designated area. Certain model GPS vehicle trackers (like the fleetminder FM Lite vehicle tracker) can be installed and integrated with the alarm system on the vehicle. This allows for the vehicle owner when notified by SMS to remotely activate the vehicle alarm or be notified if the alarm on the vehicle is activated. They can then take action to protect and recover the vehicle. fleetminder, an Australia GPS tracking company provides their mobile phone app which allows for remote control of the vehicle electrics and security functions. A major expense to owning and maintaining a vehicle is keeping the vehicle insured and when you install a GPS tracking device on each vehicle you will see auto insurance rates go down. Insurance companies provide better rates to people who actively work to protect their vehicle assets and reward the owners with a discounted rate (check with your insurance company). With GPS vehicle trackers installed in your vehicles you will realise three benefits that will save valuable money and protect your assets all with one simple installation.